One side note is that different phases of childhood require different methods of parenting. Children in the first five years of life require discipline. A parent has all of the responsibility for the child’s welfare and therefore all of the authority over him. As children grow up they gain authority over their lives as they gain responsibility for their life decisions. They are becoming responsible for their own choices and therefore need to be allowed to make those choices. They are becoming their own person with their own thoughts, feelings, and beliefs, and they have a right to those thoughts, feelings, and beliefs. They slowly gain autonomy over time rather than on any particular birthday. This is not just a good principle; it is a reality. Adults do not have the power to control how a teen thinks and behaves. Teens know this and parents would do well to acknowledge this truth as well. Parents should relate to their teens as distinctly separate, autonomous, thinking individuals, who are worthy of respect, and come alongside their teenagers to help them to learn and grow rather than trying to control them. Anger, manipulation, and control are all things that cause teens to feel disrespected and therefore mistrust their parent’s intentions toward them. If a parent has a child’s best interest in mind, then he will treat him with respect his entire life. Children who are treated with respect grow to trust their parent’s benevolence toward them, and are willing to learn from them as teens. Relational influence is earned through years and years of treating someone with respect. In the teen years it is more effective and respectful to use relational influence rather than authority and discipline. This looks more like a discipleship relationship than anything else. This honors the autonomous person that the teen is becoming and acknowledges the reality that the days of authority and control are over. And that is a good thing because the teen needs to have the authority over his own life, if he is responsible for the consequences of the choices that he makes. A teen who feels loved, supported, respected, and forgiven will be more likely to be interested in being taught and helped out of unwise situations. A teen who feels disrespected and intimidated will not feel safe to ask for advice or help. If you want your teen's heart motivation to be the love of God, you will need to communicate through your discipline God's love, grace, and desire to give us abundant life. You will need to demonstrate, that to have life, we need to live in dependence on God as the source of everything. And you will need to show that when we do, we experience true Life as it was designed to work. So, the fourth option would be to come alongside your teen in love and grace. Ask him what he or she needs from you to help them to experience the Life that God meant for them. Talk with your teen like he is a friend that you care about rather than a child that you are mad at. Think about how you would help a friend that you saw making poor life choices. You would lovingly confront him with a motive of wanting to help him find answers for his problems, not to condemn him or vent anger. You would want to rescue him from the trap that he has been sucked into. You would provide the accountability and support that he needed. God teaches us in His word that confrontation of sin is for the purpose of restoring, rescuing, redeeming and reconciling, and should always be done in humility, gentleness, and love. Ask your teen what he is struggling with and what he needs. Is he struggling with depression? Maybe he would benefit from counseling. Does he need accountability for something that he is struggling with? Is there a mentor that you could pair him with? Does he need help saying “no” to friends? Does he need to change schools and find a new peer group? Does he need addiction treatment? If you have relational influence with your teen, share with him the moral reasons for why certain choices are damaging to him and others. Such as, rules and authority are in place for the benefit of all people. Help him look for the personal benefit of following rules and authority. When we don’t follow rules and laws, we harm ourselves (our futures, our bodies). People have value. When we deceive others we hurt people and relationships. 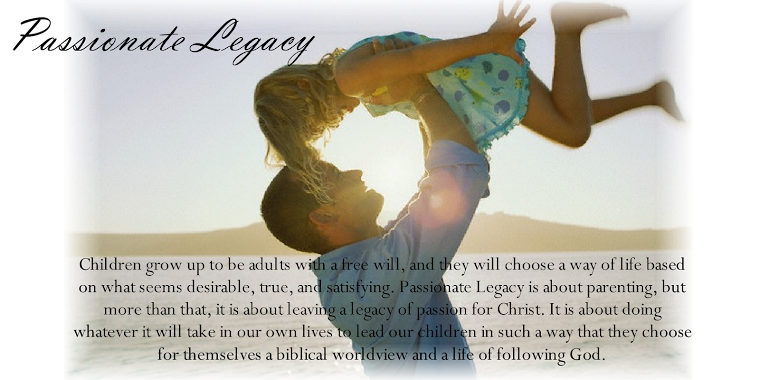 Emphasize that as a parent you want your teen to follow rules and laws because you love him and want the best for him. Show your teen the life giving reasons to love what is good, rather than just teaching them to avoid being bad. If you give a consequence make sure it fits the “crime”. Don’t make it too harsh or too long. The teen must feel that it is a fair consequence for it to be effective. Always point your teen to the gospel. We all need to live in dependence on God every single day, regardless of how old we are. God is a God of grace, He is for us, He is not angry when we fail, and He is there to give us strength when we depend on Him. Teach your teen how to accept the forgiveness of God, learn from their mistakes, and turn back to God in dependence.